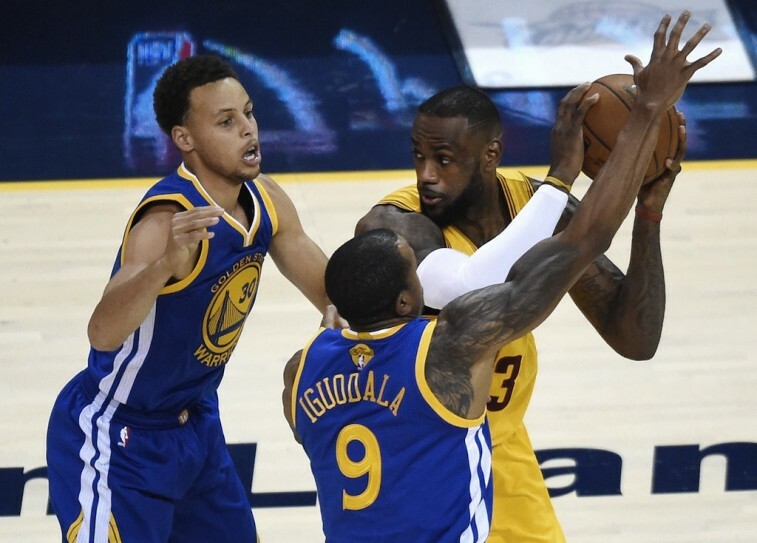 In the chess match that’s been these 2015 NBA Finals, both the Golden State Warriors and Cleveland Cavaliers have needed to make crucial adjustments in order to keep this series from slipping away. Following Thursday’s night’s 103-82 home loss in Game 4, that burden now falls on the dark horse from the Eastern Conference. You had to wonder how long the Cavs would be able keep up their recent level of intensity. This group is so undermanned you’d think they wouldn’t be able to fill out the necessary roster spots. When asked after the game if his players were tired, Cavs coach David Blatt was fairly blunt: “Yes. It was our third game in five days. It seemed to have an impact on us.” Under most circumstances, blaming exhaustion on a club’s performance would seem like somewhat of a copout. But this series isn’t most circumstances. If you look at the numbers, the top six players in the Cavs rotation are playing well more than the minutes they’re used to. They have to; there’s no other choice. And they’re not just spending extra time on the floor, they’re exuding an unfathomable amount of energy on the defensive end. It’s the only way this team will be able to keep up with the high-powered Warriors. Considering that Game 5 isn’t until Sunday, one would assume Cleveland would be able to take full advantage of this extra time off, and be well rested and ready to go come tipoff. But while their bodies recuperate in preparation for their biggest game of the season, there are other things to takeaway from Thursday’s lopsided affair. Things that if the Cavs are able to work on, would go along way toward helping them bounce back in Game 5. For what seemed like the first time all series, the Warriors refused to let the Cavaliers setup their half-court defense. Even on made shots, the Dubs were off and running. By dictating the pace of the game, Golden State never put themselves in a position to get uncomfortable on the offensive end of the floor; affectively taking away the Cavs’ most important weapon. The Warriors finished Game 4 with an effective field goal percentage of 54.5% and had an offensive rating of 116. The Cavaliers, on the other hands, spent an inordinate amount of time complaining about “no calls” and not enough energy on stopping the Warriors from breaking out. You can chalk this up to exhaustion or the occasional brain fart, but Cleveland can’t afford to let this become the norm. This team has gotten to this point by having each other’s backs. In Thursday’s contest, that couldn’t have been further from the case. 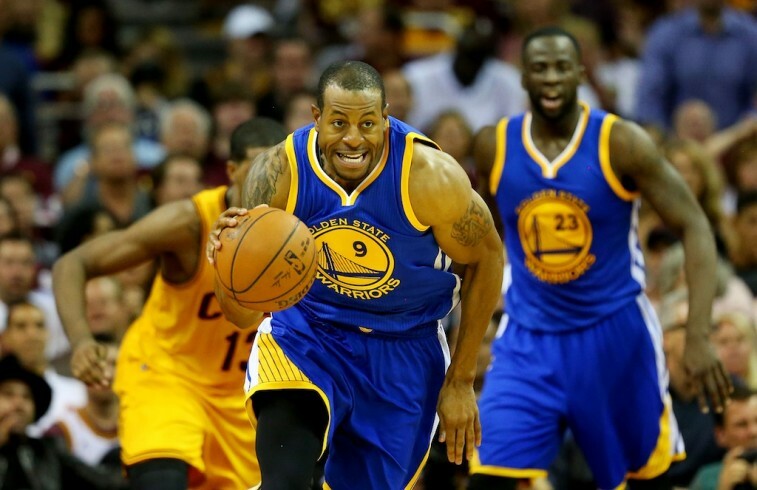 Not only did Golden State send Andre Iguodala out to be the primary defender on LeBron James, but they finally decided to stop guarding the four-time MVP one on one. Every time the King went around a pick, the Warriors would engulf him. By trapping the game’s best player, the Dubs were essentially forcing him to give up the rock. And in turn, daring the supporting cast to beat them. For the first time all series — aside from Timofey Mozgov’s 28 points — this group fell flat. J.R. Smith had 4 points, missed 10 shots, and pulled an o-fer from beynd the arc. Iman Shumpert had 5 points, going 2 for 9 from the field. And cult-hero Matthew Dellavedova missed 11 of his 14 shots on the night. Granted James wasn’t his usual dominating self — 20 points (7 for 22) — and the team shot a combined 33%, but this was the night he needed his team the most. They let him down. If the Warriors continue to utilize the same defensive strategy, the Cleveland’s supporting cast will have to make them pay. The only way James will be able to operate to the fullest of his ability, is if the role players start hitting shots. Tired legs be damned. 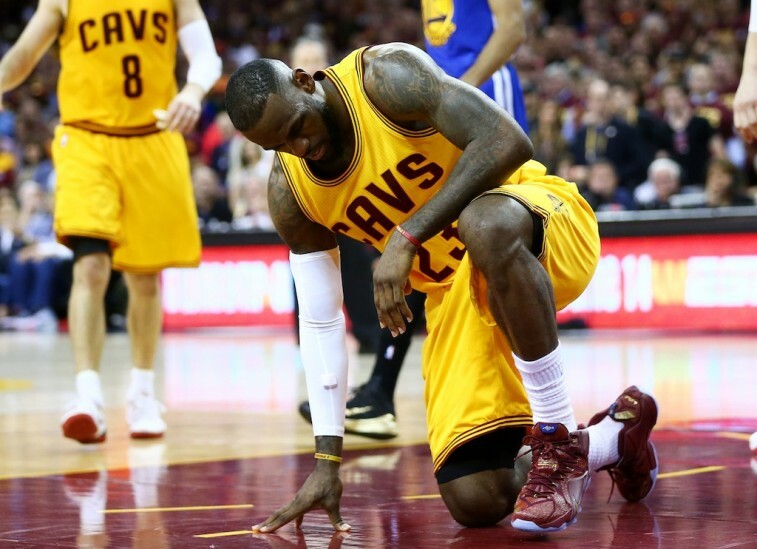 This is the NBA Finals, it’s time to leave it all on the floor. You never know when this opportunity will come around again. As much as the Cavs would like him to, LeBron James can’t physically play the whole game right now. His body won’t allow it. This group needs to keep its head above what during those few minutes James gets to rest. That didn’t happen in Game 4. Even with Golden State dictating the play, the Cavaliers were still within striking distance, only down 76-70 at the end of the third quarter. If there’s anything positive to take away from this latest game, it should be that. This team can stick with the Warriors. This group can win a championship. But this is no time to cease doing the little things — get back on D, hit the open shots, continue to move on offense — this is the time to maintain focus. Golden State made the necessary changes. You move, Cleveland.